Hello all, I had the opportunity to visit Ayurveda Sanctuary Puttur and am happy to say that I made the right choice. Lots of greenery around, plenty of colorful birds and my cottage was in between all these in the midst of nature. The morning walks in the misty climate among the trees was enchanting. We had Yoga sessions in the mornings and Dr. Manjula was very good and caring. The support staff at the Sanctuary did a great job and the treatments were just perfect for my body and soul. No vehicle sounds, no pollution, it was a perfect getaway from the maddening Bangalore crowd. Dr. Prashanth was very helpful in arranging for all our needs, and also took care of our little excursions around. 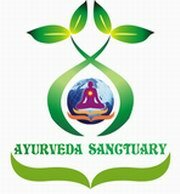 I have planned to go back again to Ayurveda Sanctuary this year end. Sharadha Kumar, Bangalore. Very disappointed - I booked and paid for Panchakarma but di ..